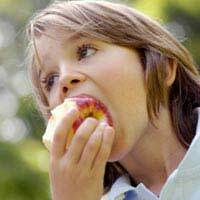 Home > Diagnosis & Symptoms > Can Pesticides Increase ADHD Risk? Many healthy people want to avoid pesticide exposure to protect their health. Pesticide exposure has been linked to a number of growing health concerns. But for people with ADHD, it is particularly important to find out if factors such as pesticide exposure might have predisposed them to the condition. It can mean preventing future cases of ADHD while giving us all a better understanding of how this condition occurs and how we can reduce its incidence. Researchers think that when children are exposed to a specific type of pesticide found in fruits and vegetables, they are more likely to suffer from ADHD. More than one thousand children had their levels of pesticide byproducts measured. Those children who showed above average levels of a specific byproduct had double the chance of receiving an ADHD diagnosis. This translates to a significant risk from pesticide exposure. The pesticides are called organophosphates. These chemicals have previously been associated with cognitive challenges and behavioural problems in children. Most of the older studies on organophosphates looked at populations such as farmers and others who were considered high-risk. Organophosphates can have harmful effects on a person’s nervous system. It is precisely how they are designed to exterminate pests. Organophosphates will target chemicals in the brain that are linked to ADHD. This is why researchers initially were interested to see if they played a role in the development of ADHD in children. Organophosphates are no longer widely available for residential purposes, which is why most exposure today is thought to come from foods such as fruits and vegetables. In particular, commercially grown produce is a source of organophosphates. Virtually anyone who consumes the produce will be exposed to organophosphates but it is thought that young children are more vulnerable to the effects on the nervous system. The amounts detected are considered trace amounts but still can affect a person consuming the foods. In one sample taken, a third of blueberries showed trace amounts of organophosphates while a quarter of strawberries tested showed organophosphates. Varying levels were found in other produce as well, such as green beans, broccoli and celery. Children in the study had their urine tested for chemical byproducts of pesticides. In the study, approximately ten percent of the children had been diagnosed with ADHD. These children were far more likely to have higher levels of the chemical byproducts. Children with a level ten times higher than those who had the lowest levels were fifty-five percent more likely to have ADHD. Those children who showed higher than average levels of the byproducts were found to be almost twice as likely to have ADHD. The main criticism of the study is that the urine of each child was only tested once. It would probably have been better to do several tests over time to see if this level changed. Reducing exposure to pesticides is unfortunately not the easiest task. While a person can buy organic produce, it tends to be more expensive. Researchers do, however, still recommend that you buy organic whenever possible and affordable to reduce exposure to pesticides. They also caution that if you can’t buy organic, you should not simply stop consuming all fruits and vegetables. This is because the nutritional benefits are high and we still do not have enough evidence to suggest a firm causal link between their consumption and subsequent organophosphate exposure and ADHD. There is no simple answer but for now, we have at least identified an issue in ADHD development that may help us prevent future cases of ADHD.